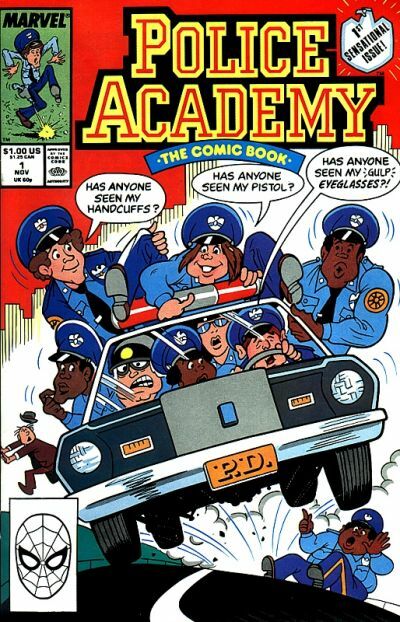 One of the most consistent franchises of the ‘80s, sort of a minor powerhouse, was the venerable Police Academy series. While it dipped its toe in the ‘90s waters with Mission to Moscow, an unqualified bomb, and a live-action series that lasted one season, the six films in the ‘80s were popular, reliable fixtures of the era. One somewhat forgotten aspect of the franchise was its animated spin-off. Warner Archive Collection is making sure this 1988-89 cartoon series doesn’t completely fade into obscurity. 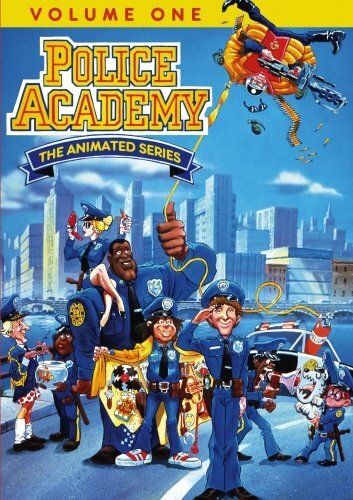 Their Police Academy – The Animated Series Vol. 1 collects a healthy selection of 30 episodes on three discs. As usual with Warner Archive titles, these haven’t been prettied up. This is late-‘80s animation, loaded with minor flaws like dirt specs, and it doesn’t look pretty when blown up on a large, high definition display. Oh well, at least we have them. Fans of Mahoney, Hightower, Larvell, Zed, and the rest of the gang will likely forgive the visual flaws. Even though I was a Police Academy fan back in the day, I honestly don’t remember the existence of this series at all. Apparently it was fairly popular, running two seasons and supporting a fairly robust ancillary market. 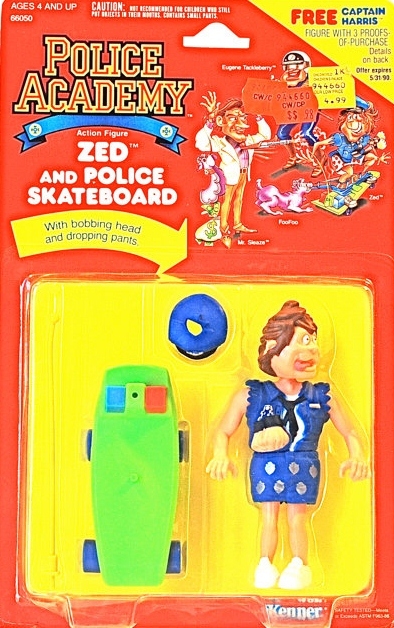 Based on the cartoon, there was a Police Academy Marvel Comics series and a surprisingly expansive line of action figures and to vehicles issued by Kenner. Pretty impressive for kid’s fair adapted from an R-rated source. But let’s be honest, as the movie series continued, it moved away from its adult-humor roots pretty quickly. We kids at the time might have thought we were watching bawdy comedies, but the PG silliness of the later sequels was anything but. The animated series itself actually works better than I expected it to. The police dog troop known as the K-9 Corps (Lobo, Bonehead, Chilipepper, Schitzy, and the leader Samson) will probably even appeal to kids today. This, along with an endless list of dastardly bad guys, distinguishes the series from its live-action counterpart. The classic group of characters is voiced by a cast of mostly veteran voice actors. For instance, the voice of Artemis in the English version of Sailor Moon, Ron Rubin, handles Mahoney. Howard Morris, who voices Sweetchuck, was actually the original voice of the Hamburglar in the early ‘70s McDonald’s commercials. The voice cast does fine, though there’s no Michael Winslow to give Larvell Jones all the cool vocal sound effects. There’s been talk of a brand new Police Academy feature film, which would be the eighth in the series. Though I imagine some folks might groan about that, it’s pretty shocking that the series hasn’t been remake/rebooted already. 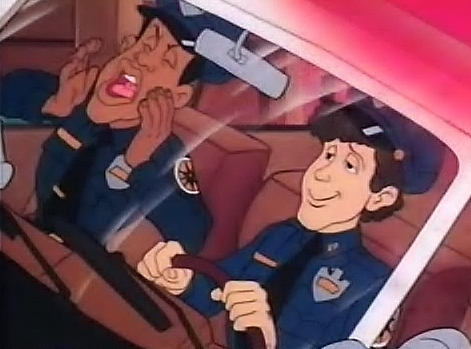 Whether that happens or not, if you’re in the mood for a blast of ‘80s nostalgia, Police Academy – The Animated Series Vol. 1 is an interesting curiosity. Hopefully Warner Archive is able to release the live action series as well, in which Michael Winslow did actually continue his celebrated role as Larvell. Whether or not that ever surfaces, fans of the animated series should sit tight for the second volume which should include the remaining 35 animated episodes.